The Rytisuo claim application was selected based on preferable geological position on Suomussalmi greenstone belt and the intensive field program completed in 2010. The total claim area is 14,56 sq.km. Location: 50 km NNE from Suomussalmi, 12 km from sealed road, a gravel road to the area. Total area 36 sq. km. There is known late Archean orogenic gold occurrence in the licensed area – Pahkosuo. Pahkosuo deposit is located in the northeastern part of the late Archaean Suomussalmi Greenstone Belt, in contact zone between the greenstones and a TTG-series granitoid and has an in situ resource estimate of 150 kg gold. During summer season 2010 MEN Finland Ltd. carried out extensive field work in the area. As a result several new intensive geochemical anomalies were discovered and the boundaries of the known anomalies were clarified. 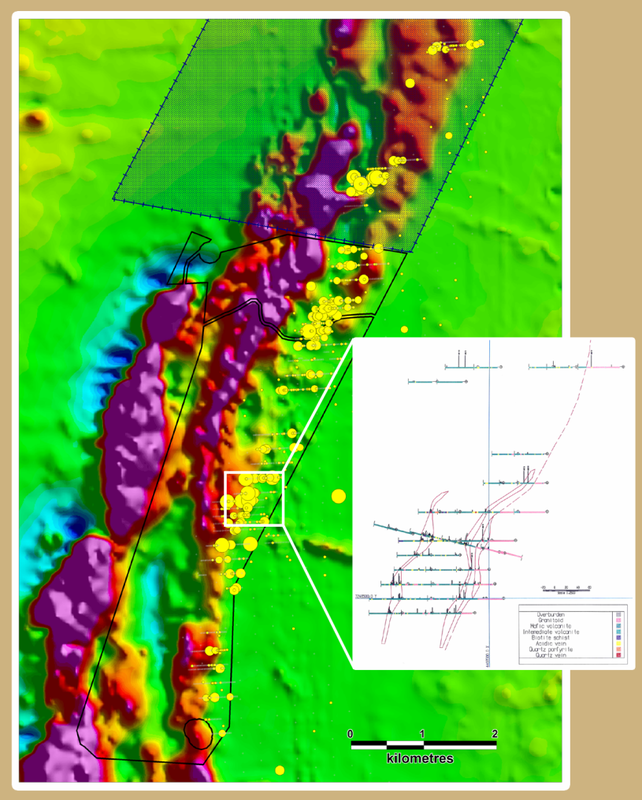 Exploration potential of the area – 0.3 -1.0 Moz of gold. MEN Finland continues exploration work in the area in 2012 and 2013.